Season the chicken with salt and pepper. 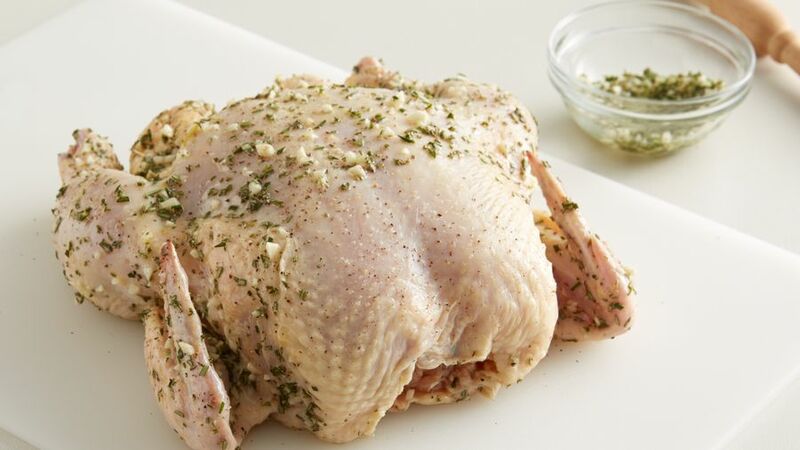 In a small bowl, mix 3 of the crushed garlic cloves and 1 1/2 tablespoon of rosemary with 3 tablespoons of oil and spread it over the chicken skin. 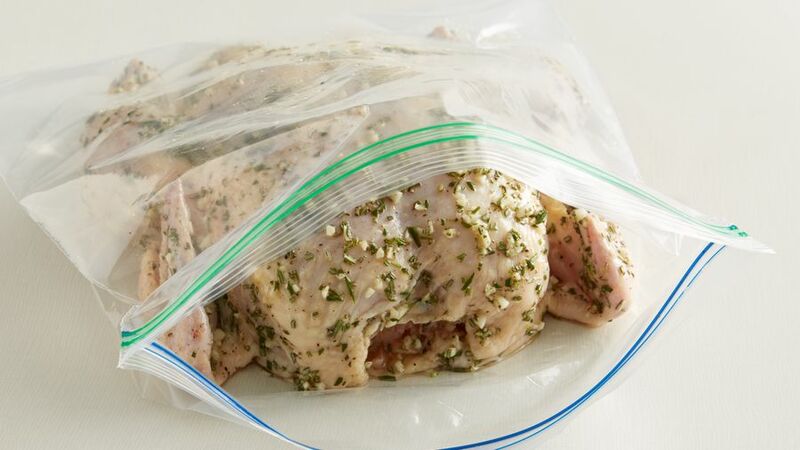 Put the chicken in a plastic bag and marinate in the rosemary spread for 2 hours. You may also marinate overnight, if you prefer. Put the chicken, breast up, in a pan and bake for 1 hour and 30 minutes. 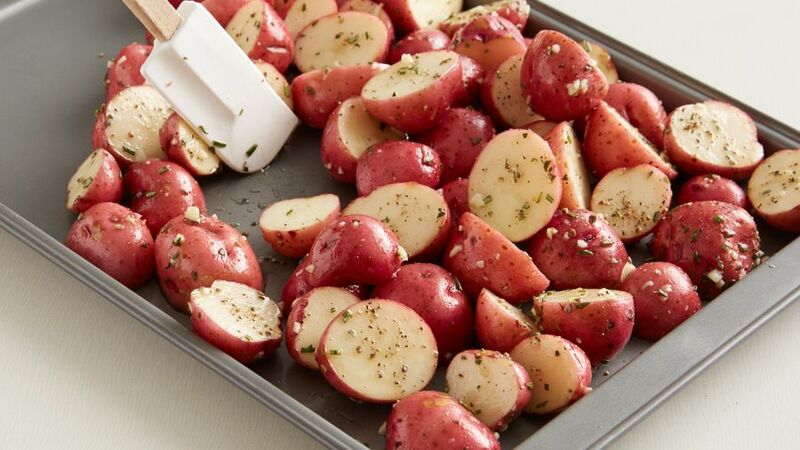 Cut the potatoes in half, or leave them whole, and season with salt and pepper. In a small, oven-safe dish combine the 2 tablespoons of olive oil with the 2 cloves of crushed garlic and 1/2 tablespoon of finely chopped rosemary. Spread it over the potatoes, thoroughly coating them. Use your hands or a spatula if necessary. 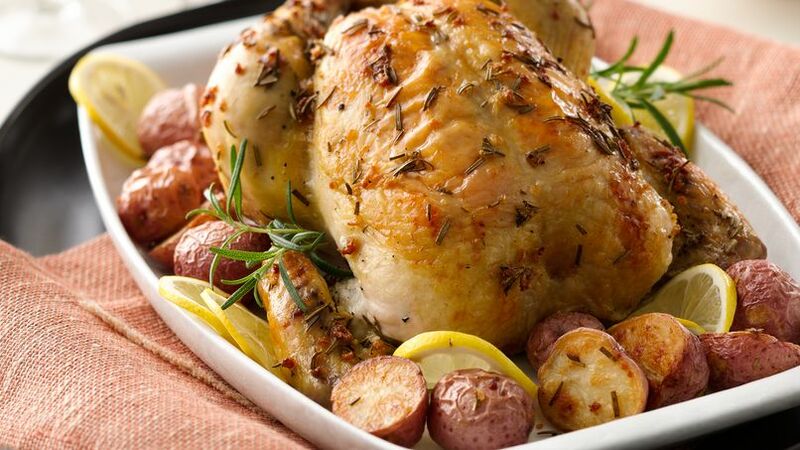 When the chicken has roasted for an hour, add the potatoes to the oven, or sauté them in a frying pan over low heat. Garnish the plate with 2 sliced lemons. Prepare a side of steamed asparagus or any other vegetable to accompany this meal. This rosemary chicken with a side of roasted baby potatoes is a perfect example of a deliciosa, easy and budget-friendly recipe. A perfect dinner option I’m sure your family will love, when it comes to meal-planning for your gang, this spread is truly easy on the checkbook. There are only 5 ingredients, but the aromas and flavors of the dish are big on impact. I like to incorporate aromatic herbs, like rosemary, which I pair with garlic and a little salt and pepper. Be inspired and try this recipe!